Sailing in the Caribbean is a cruising experience quite familiar to North American cruise travelers. After a short cruise to the Bahamas, a full-length Caribbean cruise is the logical next step. Just about every cruise line sails there either seasonally or year-round too. 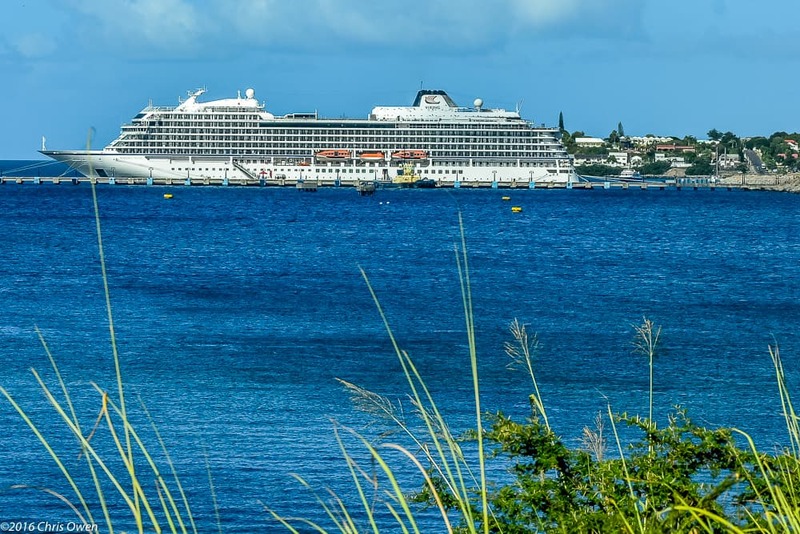 That every cruise line is a bit different brings a variety of choices when planning a Caribbean cruise with ships ranging from tiny to gigantic. Families, couples, solo travelers, seniors can usually find a Caribbean cruise that’s a good fit for their interests. Now, three new Caribbean cruise options bring as many new unique sailing experiences and are worthy of consideration. Carnival Cruise Line knows all about Fun; they’ve been providing it for decades. Opening up a world of travel to many who might not have gone beyond the borders of North America otherwise, Carnival delivers what they advertise. It’s a travel product that has evolved over time to include just about every possible demographic. 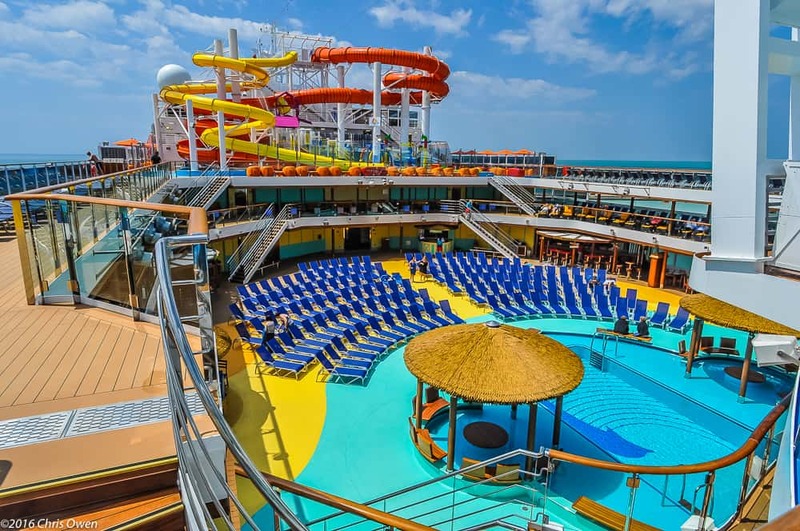 On new Carnival Vista, all the core elements of The Fun Ship experience have been not only preserved but made better. Fans of the world’s most popular cruise line will find a lot to like. Rolling in some new features, expanding a number of existing offerings from other ships and carefully staffing Carnival Vista we see the past, present and future of the line all in one neatly wrapped package. From the outside, Carnival Vista casts a profile similar to other ships in the Carnival Cruise Line fleet, complete with trademark Funnel. Step inside and it’s hard to miss the familiar curvature of a giant LED charged funnel of sorts that will change patterns, scenes and looks throughout the day. 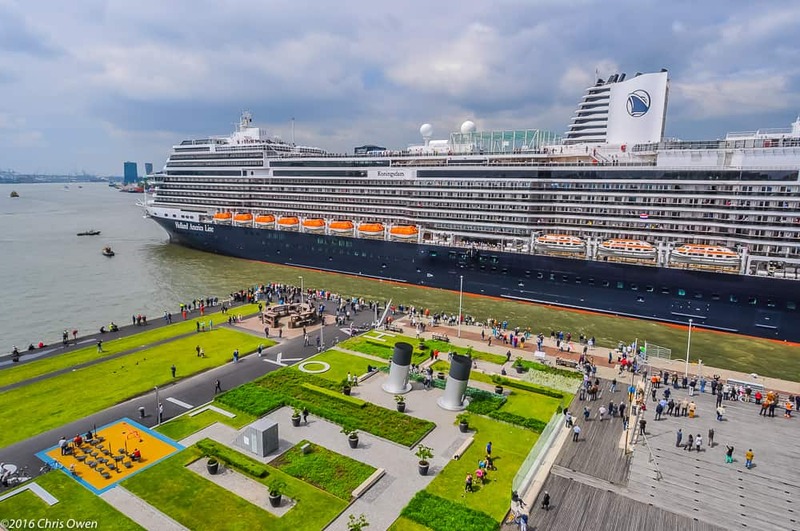 Holland America Line’s new ms Koningsdam is one of the most interesting new big ships in recent memory, but not for reasons one might expect. A number of new ships have debuted recently, all presenting the best of what their respective cruise lines have to offer. It’s a theme that seems consistent with most major cruise lines: more of the (exciting) same and an attraction or two that is new and specific to that particular ship. These are the hot new rides that fans of those cruise lines want to sail. After sailing the world for nearly 150 years, Holland America Line is sailing in a different direction. Relax, there are plenty of comfortable seats for everyone, everywhere. Abundant dining experiences are on equal footing with each other; one is not far better than the other and all are wonderful. For-a-charge items are reasonably priced and beverage packages are available, although there will be no hard sell tactics used here. Yes, they have a youth program and it is located far away from generally-used public spaces. This standard stateroom is so comfortable that you will probably have to adjust your schedule to allow time for simply enjoying the space. You will want to take the crew home with you, or at least to your next cruise ship, they are just that pleasant. Since long before 930-passenger Viking Star was launched in 2015 we looked very closely at Viking Ocean Cruises. We liked what we experienced sailing Viking River Cruises in Europe and found that same flavor with Viking Ocean Cruises in the Mediterranean. Still, a major test of all time for Viking ocean cruises came in the Caribbean, a part of the world quite familiar to North American travelers. Viking River Cruise Travelers- One of the big reasons for the creation of Viking Ocean Cruises was a clear demand from fans of the Viking River Cruise experience. After sailing Viking Ocean Cruises in the Caribbean as well as other parts of the world: If you liked the Viking River Cruise experience, you will love the Viking Ocean Cruise experience. With a similar level of quality and destination immersion, chances are you’ll flip flop back and forth between rivers and oceans on Viking. Not in the cards yet: A packaged combination river/ocean cruise although those are easy enough for your travel agent to make happen. Experienced Cruise Travelers Who Remember The Good Old Days– This is one of the main reasons Viking Chairman Torstein Hagen was all in on launching an ocean product. He had the vision to cast the right performers in lead roles, cover all the bases and make the experience emulate cruise travel of a more inclusive yesteryear. Then they blew right past that initial goal with current, relevant programming that is quite distanced from the olden days of cruising, still referred to as for “the newlywed or nearly dead”. This is the place to be. Now. New Cruise Travelers Who Do Their Homework- Intelligent, well-traveled individuals who may have never been in the market for a cruise are being drawn to Viking Ocean Cruises like flies to sugar. The Viking term “culturally curious” fits like a glove on the river product and like wonderful pair of fine leather gloves on the ocean version…and they are just getting started too. Solo travelers; Viking makes paying double worth it and provides a good example of the quality level we experienced; about twice as good as what we experienced on many other cruise lines lately. Current Fans Of Big Ship Cruises Who Book Mini-Suites And Above – Basically, the cream of the crop and where many big ship cruise lines make their profit. They sure don’t make it off the discount inside cabin buyers. Dollar for dollar, cruise travelers who book a mini- or junior-suite on a big ship cruise line will pay about the same for more space in the least expensive Verandah stateroom on Viking Ocean Cruises. Break it down any way you want to; all roads lead to that end. There are no inside or oceanview staterooms, just lovely Verandah staterooms beginning at 270 square feet and not one has an obstructed view. A big bonus for all of the above: The Viking experience is a lovely, relaxed but intellectually invigorating way to travel. Try it and see, I think you’ll agree. Why consider these three ships now? Cruise lines commonly put their very best foot forward on new ships, especially when those ships are introducing a new direction if not entirely different experience. That’s what’s happening right now on all of the above. How long will it last? That’s anyone’s guess but right now, any one of these three new Caribbean cruise options is a solid good choice when matched with the right traveler.